How do you convince potential backers sitting on the sidelines to support you Kickstarter campaigns? 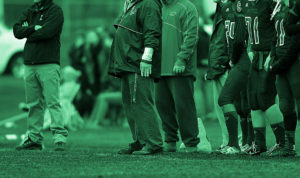 In this first of a two-part session, Tyler delves into the psychology of the “sideliner” as well as the 4 secrets to getting them off the fence and into the backer column. Wow Tyler! I cannot convey how grateful I am to you and Comixlaunch, but I will try. Earlier this year I was asked to be a part of an anthology. So, I started putting something together. Well, the anthology fell apart and I had a partial story. I usually draw other peoples projects, and that is great, but this was the first time I was going to do the whole thing myself. (although, I eventually had help with the colors.) Short story long, I stretched and added some stuff and had a comic of my own. Well now what? I immediately thought of Kickstarter, but knew I had no audience. Oh sure I had drawn a couple books for other people, but no real following. Hell, I didn’t even know where to start. Thats when I found your podcast. I started at the beginning and listened to every episode while I worked on my pages for other people. I started to see the path. And any question I had, you’ve answered. Even now, I just launched and was trying to figure out how often I should update. 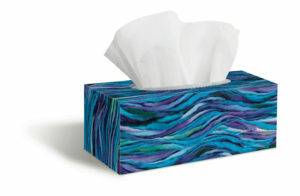 -Bam- Tyler already sent you that info dummy. The books you recommended are great. I especially like Kickstarter for the independent creator by M. Holly-Rosing. I have opened that book at least once every day since I finished reading it and started to put my plan together. Your episode with her is what prompted me to buy it. I am happy to report my book is over 80% funded in just over 24 hours. There is no doubt in my mind, I couldn’t have done that without you and ComixLaunch. No way. ComixLaunch Mastery will be open for just a few more days. The caliber of creators is exciting, and the projects they’ll be creating are ones I’m excited to be a part of. The community that we’re building between new creators and alumni is special. What’s great is that creators in this community can work at their own paces. Pilot version of the ComixLaunch Course – 4 creators launched projects within weeks of class wrapping up… but some of the creators needed more time. Cody Stewart, working on The Slip, launching soon, getting his Kickstarter page going. Has access to all the ComixLaunch course materials and getting incredible feedback in the Private FB Group. These are connections and a support system that’s ongoing… excited to be welcoming more creators into the family. ComixLaunch.com/mastery to learn more and enroll. Enrollment closes at Tuesday at Midnight EDT. Credit to Derek Halpern of SocialTriggers.com for this framework. Derek’s specialty is intersection of marketing and psychology, two topics that many of you have spent not much time studying. And in truth, I ignored those two topics for a long time, much to my own detriment. In my day job I designed and produced a marketing simulation game for McGraw-Hill that’s been played by tens of thousands of college students and sold over a million dollars in sales. In designing that game, had to be a bit of a crash course in marketing and become a mini-expert. It was eye-opening. There were so many things I WASN’T doing as a creator. And it really hit me in the last couple of years… our books were exceeding my ability to sell them. Books were doing their job, marketing wasn’t. That’s on ME. I needed to get better… for my Tribe. For my collaborators. And for creators like you who listen to me and have come to look to me for guidance on things. So, SocialTriggers.com and Derek Halpern is one of many of the experts I’ve studied and learned from. On Kickstarter, will range from hundreds to millions. 99.99999% of the population for most campaigns and creators. We’re going to ignore these folks today. Your Reach – People Exposed to Your Campaign, will break down into three groups. These are the people who have known about you for quite sometime, and they don’t need much convincing. They know, like and trust you. They’re already sold, and they just need something to buy. These will be your day one backers. They’ve bought from you in the past, or bought stuff like you’re offering in the past. They’ve backed your previous campaigns. The whole game is getting enough of these people into your Reach… with enough Take My Money Backers, success is never in doubt. Game over, you win every single time. These are the people who will NEVER back your KS projects. You could be the best salesperson in the world, and there’s nothing you can do to convince them to buy. Maybe they don’t have the funds. Maybe they’re just not interested in your product. Maybe they’re a competitor watching you to research what you’re doing? Maybe they only buy their comics at the direct market, or at comic shops. Maybe they’ve been burned one too many times on KS. Whatever the case, they’re not backing your project, no matter what you do. The sideliners are the people who could buy, should buy, but for whatever reason, haven’t made up their mind yet… they’re just sitting on the sidelines. That’s it! You convert enough sideliners, you win! Your project gets funded, and after you deliver an exceptional campaign experience, fulfill your backers pledges on time, your “Take My Money Backers” count goes up so that you’re starting your next Kickstarter launch in a much better position. As long as you understand the “psychology” behind why these people are sitting on the sidelines, any “tactic” you use to push them from the sidelines into the buying category can work. How do you get the Sideliners off the sidelines? That’s the hundred, thousand, or MILLION dollar question… all depends on the size of your reach. To get them off the sideline, it’s important to understand the REASON they’re on the sideline in the first place. If you know that, and are clear on that, it becomes a whole lot easier to get them OFF the sideline and into the Backer column. “Does this really matter to me? Sometimes it’s true. Sometimes it isn’t. They don’t really know, like, or trust you yet… and they’ve probably been burned before. These people probably discovered your KS organically… not from you or a trusted friend. They’ve probably been burned before and are a little jaded on Kickstarter, either by the quality of the product or the quality of the campaigns. The Worrier’s biggest barrier to buying is themselves. Whereas the Skeptic questions you, the Worrier questions themselves. Worriers… man. We all know one. The procrastinator’s biggest barrier to buying is, as you might have guessed, procrastination. This is something all human beings wrestle with, and it’s largely because we’re resistant to change. And while they may want what you’re selling, spending money hurts, and they’ll delay experiencing that pain as long as possible. 1. Make the Indifferent care. …and a HUGE Kickstarter that exceeds your expectations and takes your career to the next level. 1.) What can you do to make an Indifferent Sideliner Care about Your Project? 2.) What can you do to make a Skeptic trust you and your project? Write me! Leave a VM! Get on the show! And there is your reach. Sideliners – All your time should be spent messaging sideliners. In Part two, I’m going to give you a ton of ways to do just that. That’s what I’m trying to do with this podcast, with the comics that we create, with the books I publish, and it’s what you should be doing too. Join Tyler James and a small group of hardworking creators to learn to how to start, grow and energize an email list of fans big enough to successfully launch your project on Kickstarter. 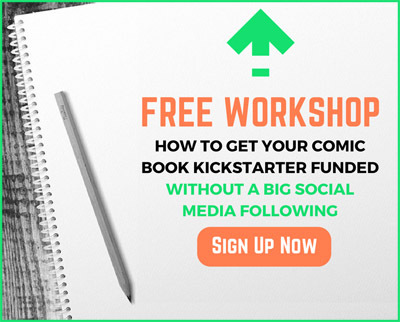 Then learn how to harness the power of Kickstarter to fund your projects, expand your audience, and build the foundation for your career as a comic creator. Click here to enroll for 2016-2017. For many creators, marketing is the most challenging part of a Kickstarter campaign. In this session, artist Anthony Christou teaches a guest lesson sharing his 40 day campaign marketing plan. Then, Tyler shares audio from a past ComixLaunch Course office hours session where he corrects a big mistake many creators make when it comes to email marketing. ComixLaunch Gameplan going on… If you’re not on our email list, you’re missing out! ComixLaunch Mastery enrollment opens up on Tuesday Oct 25 and will be close until Tuesday November 1. Bonus Resource: View Anthony Christou’s Kickstarter Marketing Plan Template! Click here for Anthony’s Plan. 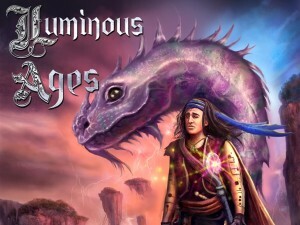 Anthony Christou – Most ambitious KS campaign yet for Luminous Ages #2 and a Card Game. As such, he’s put together a comprehensive marketing plan, which he’s going to share with us. Okay, now I’m going to open up the ComixLaunch Course archive and share a few snippets from the Office Hours Q&A session that took place with the pilot group in Jan of this year. In this first clip, I’m going to talk about what to do when you’ve crunched the numbers and realize your goal is likely higher than what you can reasonably raise. Okay, in this second clip, I’m going to address a few things I noticed about Joshua Janes’ 15 Minute KS plan. If you’ve been following the ComixLaunch Game Plan, I shared a bit about Josh and his 15 minute plan, which he sketched out in rough form quickly, and then, throughout the course and afterward executed brilliantly, successfully funding fulfilling his project. I’ve included links to Josh’s original plan, and to his successful KS in the show notes… great book, great artist, check him out. Buy hand sanitizer and put it in your convention box. Do it now! Thank me later! Thanks for bearing with me and my post con funk. Hope you got value from Anthony and from the ComixLaunch archive material. Again, doors open on Tuesday for ComixLaunch Mastery. 24 hour bonus for early action takers!!! If you could go back in time and give yourself one piece of advice that you wish you new when you first began your creative career, what would it be? It’s a great question right… and a commonly asked question. In this session, Tyler shares his answer, and it’s probably not the one you’re expecting, but if you’re planning on launching a Kickstarter in 2017, it’s something you need to hear. First, have you started an email list yet? If not, I want you to tell me why not? What are you doing today or this week coming up, that’s more important than starting an email list? And if yes, how are you using your email list? What’s working for you and what’s not working for you? I hope I’ve lit a fire under you with this session. Because I really want each and every one of you listening this to succeed and to go as far in this industry as you possibly can. TYLER HELP! I need more? Well, that’s precisely why I created the ListLaunch Course. The three biggest mistakes most creators list when starting their email list… and exactly what to do instead. Gmail & Yahoo won’t cut it: Why you need a proper email service provider (ESP) for your list? Tackling the Technology: How to pick the right ESP for where you are and where you’re going by answering a few simple questions? The 3 Key Types of Emails You’ll Need to Set-up Right Away. Email Metrics: What’s good engagement for Conversions, Open Rate, and Clicks, and how to boost all three. Email Best Practices for Writers, Artists, and Self-Publishers… with lots of examples! How to avoid getting slammed with the SPAM label? Email list building strategies: A blueprint to get your first 100, 500, and 1000 subscribers? I ran a pilot version of ListLaunch earlier this summer and the reviews and results of the creators taking it have been incredible. 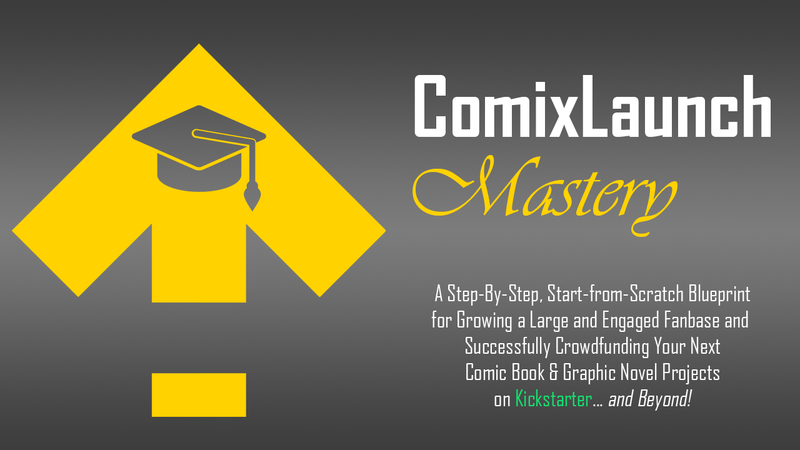 On October 25, my new program, ComixLaunch Mastery will open its doors, and the first Two months of CM is ListLaunch. So, if you’d like to spend the final two months of 2016 building and energizing your fan base so that when you launch your first or next Kickstarter in 2017 they are primed and ready to back you… I’m excited to work with you. And if you’re listening to this and thinking, that sounds great, but what if I don’t have a fan base? What if I’m starting from zero? In that case, I’m JEALOUS. You’re essentially coming to me as a blank slate. You haven’t built up a ton of misconceptions, bad habits and practices, or limiting beliefs that I’ll have to break down before building back up the right way. Instead, I can just give you the playbook I wish I had starting out, the playbook I’ve spent the last 15 years learning the hard way. The Time Machine. The deloreon doors are open. ComixLaunch Gameplan, a free 3-Part Training series will begin tomorrow, so check your inbox as 6 am for part 1 from me? Not on the ComixLaunch list? Head to ComixLaunch.com and signup top bar. As creators, far too often we make the mistake of thinking things are different for us than traditional businesses. And yes, some things are different. But the power of an email list is not one of them. In today’s session with writer Jennie Wood (Flutter, A Boy Like Me) the topic of sticking with a project is discussed. You’ll hear how Jenny drew from personal experience to craft a story that really resonates with readers and how Flutter came together. She’ll also share insight from her experience on Kickstarter and teaching comics and graphic novels in Boston. NYCC – When this goes live, final day. Hopefully won’t get slammed with con flu. The ComixLaunch Gameplan is coming soon. 3-Part Training series to get you focused on the right things as 2016 ends so that you roar into 2017 a man or woman with a plan! If you are on the ComixLaunch email list, you’re getting it. If not, ComixLaunch.com and sign up top bar. My guest today is the writer of the critically acclaimed comic book series Flutter, which has been hailed as one of the best LGBT graphic novels of 2013 and 2015 by The Advocate. Flutter has also been featured on an episode of Law & Order: SVU, and been highlighted in the New York Times & Boston Globe. She is also the author of the YA novel “A Boy Like Me” and an ongoing contributor to the New York Times best-selling FUBAR comic anthologies. She also teaches graphic novel and comic book writing at Grub Street, Boston’s independent writing center. Welcome to ComixLauch, Jennie Wood. I’m really excited to talk to you because it’s always a pleasure to spotlight creators in Boston area who are doing very interesting things. 1) One of the recurring themes we drive home on this show is the importance of owning the “why” behind your work. Can you tell the ComixLaunch audience more about Flutter, and why this was a story that you had to tell? 2) You’re working with Jeff McComsey, whose been a guest on this show before… and this book is definitely a change of pace from FUBAR. How did the Flutter project and team come together? 3) A lot of creators find themselves working on a project and weighing the back and forth of should I take it to Kickstarter or should I take it to an indie publisher. Over Flutter’s history, you’ve actually had experience doing both. How have you approached getting this story into readers hands? What’s worked and what’s been a struggle? 4) You’ve taught graphic novel and comic book writing at Grub Street. How do you structure your courses and what have you learned working with aspiring writers? A way to reach out to people who don’t get Kickstarter and think it’s just for handouts. Are you telling a story that ONLY YOU COULD tell? 2) What has you most excited? Flutter – Currently 77% funded on the way to its 8.000 goal. 3) What’s the best way for listeners to connect? Hope you enjoyed that conversation with Jennie. The ComixLaunch Gameplan is coming Monday Aug 17th. ComixLaunch Mastery will be opening its doors. ComixLaunch Mastery is the new flagship program the represents the absolute best training I have to offer creators looking to take their careers to the next level by growing a fan base and leveraging the Kickstarter platform to bring new projects to life. ComixLaunch Mastery is a comprehensive training that includes two proven programs that you will complete over the next five months, culminating in the successful launch of your own Kickstarter project. Then, in The ComixLaunch Course, you and small group of like-minded creators will learn everything you need to know to plan, launch, fund & fulfill your Kickstarter project. ComixLaunch Mastery will open for enrollment the last week in October, and will begin November 1. ComixLaunch.com/course to get on the priority notice list. Are you spending your career waiting to get picked? Or are you choosing yourself? In this session, Tyler discusses creator reaction to the recent DC Comics Writers Talent Development Workshop, and the importance of handling disappointment with professionalism. On today’s episode, I’m going to talk about the difference between getting picked and choosing yourself. This past week, DC Comics announced the new class of writers who have been selected for the DC Talent Workshop taught by Scott Snyder. While there were a lot of well wishes… there were also a lot of sour grapes. A few weeks before, blanket rejection letters went out to creators. I got one, many of the top up and coming writers in comics I know got one. Reaction to not getting picked is something I want to talk about. Give you my thoughts, and also share some great pieces you should track down and read. Before we get into that, I did want to share something with you guys. Podcast downloads – +23K. My goal for the year was 20K. Well, the reverse is also true. What you don’t measure… can go to crap. C is for Cthulhu plush toys – giant box. Scale – Stepped on it, and almost threw up. 22 lbs heavier than the last time I stepped on the scale, which was back in April. One of the keys to that was stepping on the scale every single day. Stopped doing that once I hit a progress milestone… and now, 5 months later, I’ve backslid. Now, we’re entering the final quarter of 2016, and people usually either throttle down (next year is going to be my year, I’ll coast until then) or throttle up (leaves are falling, summer distractions out of the way, kids back in school,) it’s time to strap in, and absolutely dominate the rest of the year and roar into 2017. Take a guess which side I’m on? This is the ComixLAUNCH podcast, of course we have to throttle up. To help you guys get focused and rededicated, I’m putting together a new FREE training program called the ComixLaunch Gameplan which contains some of my absolute best stuff. A framework for success and a simple self-assessment tool that’ll help you determine which of 5 key areas critical to moving your creative endeavors forward you need to most level up in, and loads of ideas on how you can level up. A plan for outlining your next (and best) Kickstarter launch…in just 15 minutes. A powerful principle that separates good from great… and how you can apply it to anything you do. As I said, this is totally FREE training series… and if you’re already on the ComixLaunch email list, you don’t have to do a thing to get it. It’s coming your way later this month. However, if you’re listening to me right now, and have not joined our email list, just go to ComixLaunch.com and sign up. Top Bar. Zuda Comics was DC Comics’ webcomics imprint from 2007 until 2010. Some of the imprints series have won awards and nominations from comic industry’s Glyph Comics Awards and Harvey Awards. Bayou, Volume 1 was also named one of the 2010 Great Graphic Novels for Teens by the American Library Association. The site was announced via press release on July 9 2007, the imprint was launched to publish new material featuring new characters online. The site’s content would be chosen by the users through monthly competitions: “the majority of the web comics will be selected by Zudacomics.com’s visitors, who will vote on new web comics presented to them in periodic competitions”. The first commissioned ongoing strips and material competing for the public vote were published on October 30 2007. Zuda removed the competition aspect in April 2010 and in July 2010, soon after the launch of DC’s digital comics service, it was announced that Zuda would close and be folded into the new digital publishing arm. Comic creators were invited to submit their own eight-page comics, and each month ten were selected to compete by editorial. Users could vote for their favorite and the winner received a contract to continue their comic on Zuda. When the contract was filled, if the comic was liked enough it could be renewed for an additional “season”. Occasionally an “instant winner” was chosen to receive a contract without having to compete. In July 2008 an “invitational” was held in which losing comics were invited back to compete. A lot of chances – 10 / month, every month. First opened up – Reaction Comics were good! I submitted a total of 5 series pitches. A lot of eyeballs, and a lot of feedback. Popularity contest… not necessarily merit. Biggest pro of all was that I decided I was going to pick myself, and not worry about getting picked. I wasn’t going to put my career or my projects to the whim of popular vote, or a set of gatekeepers deciding whether or not I got to compete. I was not going to shy away from the fact that my stuff needed to get better… reinvest in my own talent. Thank you for applying to the DC Talent Development Writers Workshop! Due to the high volume of competitive submissions, it was very challenging to select our final candidates. Unfortunately, we will not be able to offer you a place in the program this year. We enjoyed reviewing your application and appreciate your interest in the program. We hope you’ll consider applying again in the future! Announced who was in it. Tony Patrick (X’ed, writer of short film Black Card). They said it was supposed to be about shining a light on new talent and a chance to break in and get educated. These writers are established! If this is your goal, now you know what it takes! 4 Things to Keep in Mind About Getting Picked? 1) It’s like winning the lottery. The odds are not in your favor. But you do have to play to win. Does that sound obvious? It doesn’t matter. You still need to hear it. I still need to hear it. Being part of a roller coaster creative community like comics involves seeing a nigh-constant stream of promotion for new projects, big and small; Press releases, interviews, reviews, tweets, conventions, panels… It’s a barrage. Every week it seems like everyone else is doing amazing things while you are standing still. That feeling can breed an intense amount of fear and doubt. It can eat away at your confidence and poison your ability to create. You put yourself into the work. Your ego is wrapped up in these creative projects. You can’t help but compare yourself to your peers and have a knee-jerk reaction that their success somehow reflects back as your failure. 4) If you want to get picked, you need to choose yourself. Now, honestly… I might have thought differently, had one of “my own” not been picked. But – RKL got picked. Any of you saying, it’s not fair, or I couldn’t get chosen because ___…. it’s all excuses. Maybe I’m biased… gave one of his first paid gigs… little 8 pager for OXYMORON anthology. Seeing a lot of people online talking about already having watched all of MAKING A MURDERER and all I can think every single time is – where the hell do you get the time? AND, why the hell aren’t you using that time to write? But then I remember that some people are freelancers who work all day and actually have nights off, and then I remember some people don’t have kids and so that frees up some hours in their day, and then I remember that some people just work at their own pace. I remember all that and still I think, man, what is that show, 6 eps long, 10? Who has 10 spare hours over a weekend to just sit and watch a thing. I don’t care how rational it might be for you, and how irrational of me, I hate you. Projects going he hasn’t even dropped yet. Does it make a little more sense now why a writer like Ryan got picked and you didn’t? Don’t be frustrated… be inspired. Pick yourself. When you do that, and do it every day for a few years, eventually other people are going to notice. If you applied for the DC writers workshop and didn’t get in, seek out the work of at least one of the people who did get in, and study it. It’s nice to get picked. While you can’t control who picks you, you can control the things YOU pick… and those things are far more critical to your success than getting picked. YOU get to pick how you spend your time. Are you prioritizing hitting your page count, or binging Netflix. YOU get to pick your friends and the people you choose to surround yourself with. Are you building a Network of positive, talented, hardworkign, creative people who are making your industry a better place? Or are you surrounding yourself with negative nancy’s who criticize, condemn and complain far more than they create? YOU get to pick your mentors, the people who are farther along on the journey than you are, who’s mistakes you can learn from and avoid, and whose success and insight you can model. By listening to this right now, I’m honored that you’ve picked me as one of those mentors. YOU get to pick how you handle both success and adversity. And if you’re not happy with how you’ve handled either in the past… you can always pick a new approach. Later this month, I’m going to be launching a new course called ComixLaunch Mastery. I’m excited, because I know about 3% of those of you listening to this podcast will sign up for the course, and we’ll work together to bring some amazing projects into the world. You will be hearing more about ComixLaunch Mastery in the weeks to come. Enrollment will be later this month. Get out there and do. The world needs what you have inside you. ComixLaunch Gameplan is coming. Get on the email list.